Happy Valentine's Day! 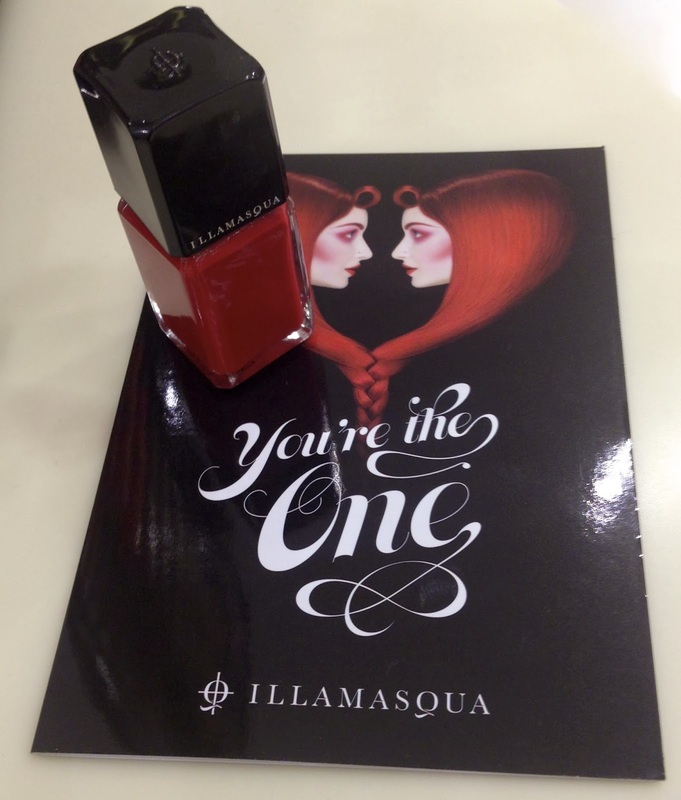 In honor of Valentine's Day, UK cosmetics company ILLAMASQUA has launched their Valentine collection called "You're The One." A sensual, bright and romantic line, which plays up on the dramatic reds that are sure to give your lips a nice pop of color. For this collection, ILLAMASQUA took their most popular red lip products and combined them in order to create this fabulous set which is made up of a lip pencil (feisty), lipstick (man eater), nail polish (throb) and lip gloss (touch). All of these lip products were available before the collection launched; however, the lip gloss is a new product that ILLAMASQUA has introduced to their beauty line. In my opinion, this set is the ultimate guide to achieving a 'perfect' lip. First is the lip liner which helps the lipstick to last longer and ensures that it does not bleed outside of your lip. Next is the lipstick which is in a matte texture and will have a longer staying power on the lip. And last is the lip gloss which you can apply on top of the lipstick in order to add a bit of shine and hydration to your lips. As I am a huge fan of red lip products and have a growing collection of red lipsticks/lacquers to chose from, I was immediately drawn to this Valentine's collection. The lipstick (man eater) is probably my favorite product out of the whole set, since it feels great on my lips as its not as dry as other matte lipsticks that I have tried. Another positive about this lipstick is that it is a great blue-red tone that will look wonderful on all skin tones! So, if you don't end up buying this set, this lipstick is a great item to consider. The set also comes with a red nail polish which is a great addition to the set, because it compliments the lip products and creates an overall appearance of class and sensuality. Plus, if you are not wearing a red lip, a set of red nails is always such a classic look. 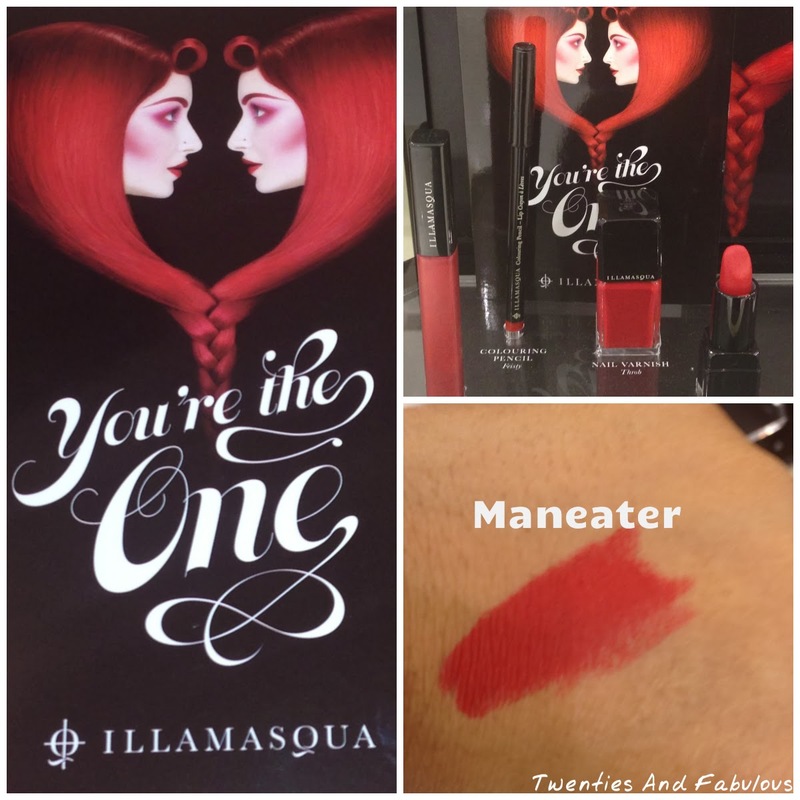 Overall, I really like ILLAMASQUA'S Valentine's collection and I think it would be a great gift to give or receive for Valentine's Day, but also a great set to use year round since red is such a classic color that anyone can wear during any season.